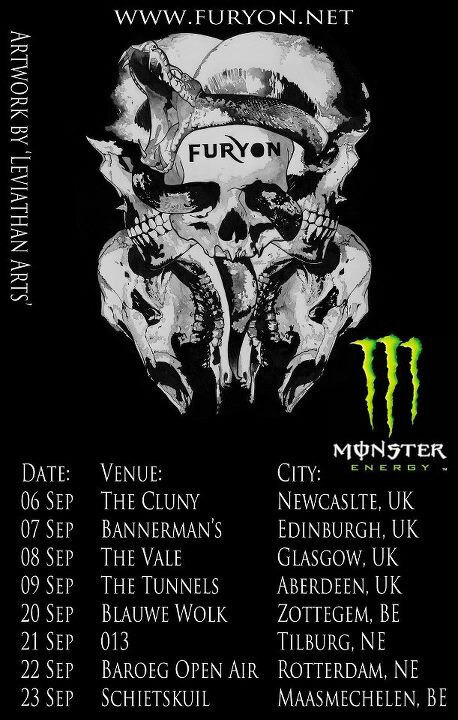 UK metallers FURYON have confirmed dates for a European tour in support of their digital single release "Don’t Follow". The trek kicks of on September 6 with four shows in the U.K before moving on the continental Europe. It follows the massively succeessful shows on Bloodstock Festival and Download Festival earlier this summer.